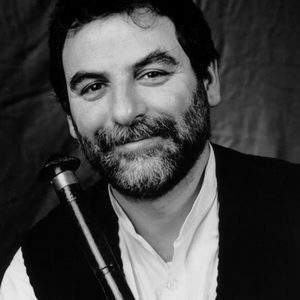 Kudsi Erguner, born in the 1950s in Istanbul, Turkey, is considered a master of traditional Mevlevi Sufi and is one of the best-known players of the Turkish ney flute. As a boy, Kudsi and his father Ulvi Erguner performed hypnotic and spiritual dance rituals from the Mevlevi-Sufi tradition at Dervish ceremonies. For several decades now, he has researched into the earliest roots of Ottoman music which he has also taught, performed and recorded. In 1975, Kudsi Erguner moved to Paris where, at the beginning of the 1980s, he founded the Mevlana Institute devoted to the study and teaching of classical Sufi music. Years later, highly occupied by his musical works accordingly due to lack of time, he had to give up managing the institute . Together with the "Kudsi Erguner Ensemble" he developed deep insights into the diversity of his culture: the group conveys both authentic, often improvised forms of expression of classical Ottoman performance culture as well as a comprehensive repertoire of modern and classical pieces that can be traced back to the thirteenth century. In addition to his own recordings, Erguner has performed with Peter Gabriel, Maurice B&eacute;jart, Peter Brook, George Aperghis, Didier Lockwood, and Michel Portal. Kudsi's brother Suleyman Erguner, is also Turkey's one of the leading ney flute performers and Sufi music composers who used to perform with Kudsi Erguner.